That’s it. End of conversation. If you disagree with that, then this story is going to make blood shoot out of your eyes because I will not mince words. I’m sick of reporting on cops that were executed in the streets and I’m sick of reading statements from grieving families. This is NOT acceptable. Sgt. Steven Owen was responding to a burglary call when he was ambushed by a man that police believe to be 27 year-old Trevon Lovell. When Owen went to the back of the building to check it out, Lovell is said to have shot him and after he fell to the ground, the thug stood over his body and pulled the trigger four more times. Afterward, Lovell searched the body in the hopes of finding another firearm, as the one he had just used to kill the cop was stolen. 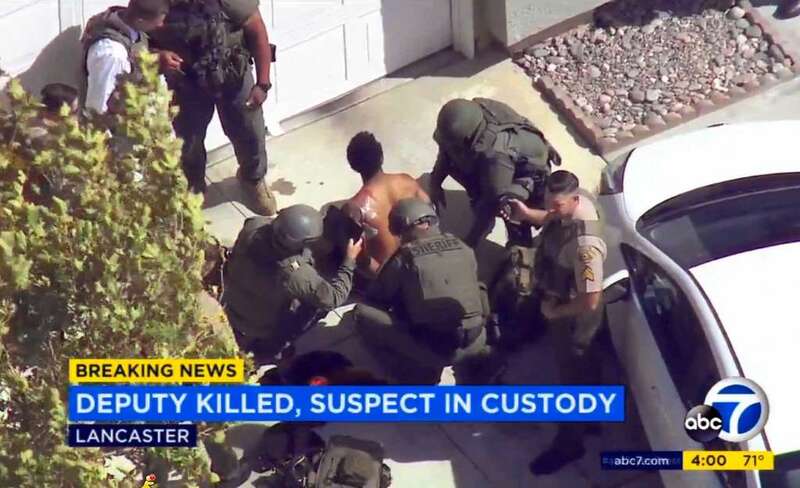 After the shooting, Lovell ran back into the home where two hostages were cowering. They were rescued by a SWAT team, causing him to run out the back of the house. While he was attempting to flee, another responding officer shot him before Lovell stole the dead Sergeant’s car. The suspect was arrested and it has been revealed that he has been arrested many times and served two prison sentences. As a society, we must condemn actions like this and make it known that they will face the maximum penalty for killing our police officers.